>> Idol Lash serum – a recognized name. But is it worth your money? Meet Idol Lash, a growth serum specially formulated to give women longer, fuller lashes within two to four weeks of use. It’s reasonably priced at $39,95 and relatively easy to use—just apply Idol Lash like you would your daily liquid eyeliner. We were just contacted by the makers of Idol Lash and they informed us that they're experiencing high demand due to the recent TV commercial. If you're having difficulties with ordering this eyelash serum, we recommend to bookmark their site to come back later. Unlike mascara and fake lashes, this eyelash growth enhancer provides a long-term solution to lash problems. It has been used by thousands of women for a while now, and based on their comments, the product is pretty effective and safe. With so many competitors out there, we decided to dig deeper and see if this product makes good on its promise of longer, healthier lashes. The question is: Is this product really worth the money? Since 2002, Health Buy, a company behind Idol Lash has been a respected name in the health and beauty industry. This stems from an ongoing commitment to quality, including membership in the Natural Products Association, an organization that helps consumers identify companies that use pure and natural extracts. It's one of the eyelash growth serums that is clinically-proven to increase lash density within just 2-4 weeks of continued use. A major strength of this product is its simple ingredient list, full of good stuff. Cocoyl - Derived from coconut oil, cocoyl helps rinse away debris found on the skin. Kelp extract - Packed with nutrients that lashes love, like iodine, calcium, vitamin A, B1, B2, C, D, and E. Also contains laminaria angustata, which helps thicken hair for a fuller look. ​Honey extract - It's a natural emollient that helps keep your lashes soft and silky. It's an antioxidant that helps promote hair growth. And it has antimicrobial and anti-fungal properties that help keep your follicles clean and healthy. ​Jojoba seed oil - A known moisturizing agent, jojoba seed oil helps keep lashes fresh, hydrated, and well-conditioned. Plus, it’s really fun to say. Nettle extract - A key ingredient that has long been used to jumpstart lash growth by fortifying hair shafts and stimulating the roots. Why? Because it blocks certain hormones that cause hair loss. Chamomile extract - For antimicrobial, anti-inflammatory, and soothing properties proven to strengthen hair follicles and promote growth and density. Multiple studies and customer reviews have revealed no significant side effects from using Idol Lash. Thanks to natural ingredients, this serum is safe for even the most sensitive eyes. Still, we do recommend a simple skin test before starting Idol Lash treatment to avoid any allergies you might have. As with any product, there is some room for improvement. Oddly enough, the Idol Lash homepage is rather busy, and it’s not exactly clear what can be clicked and what cannot. The text is somewhat difficult to read, and while there are other parts of the website (About Us page, FAQ, etc. ), you must scroll all the way down to find them. These are two things we always look for when reviewing beauty products. Well, Idol Lash has been working wonders for me. I really noticed my short and dull lashes changing and ehancing naturally, looking fuller, stronger and darker after 7-8 weeks of using it. And also the main reason why i’m sticking with Idol Lash is the reasonable price. Not that expensive compared to other brands. What really ﻿﻿impressed ﻿﻿us, though, was the﻿ ﻿﻿﻿clinical﻿ ﻿proof﻿﻿﻿﻿. The benefits of Idol Lash products are backed by several clinical studies. In a recent, third-party study, a group of people aged 24-82 applied Idol Lash at least once a night for two weeks. And we're not just saying that. 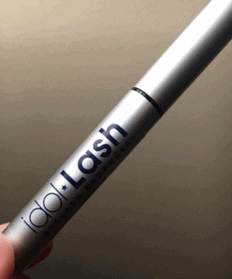 All things considered, we think Idol Lash is worth your money if you’re serious about growing your lashes. We appreciate the potent, natural ingredients and ease of use. The clinical studies and testimonials help back up the company’s claims about lash growth, something many products promise but few deliver. Customer service is important, too. If, for some reason, you are unsatisfied with the results, Idol Lash will honor a 90-day, money-back guarantee. No questions asked. Warning: Don’t buy Idol Lash at Amazon.com. Use the link above instead. While you can find Idol Lash products on Amazon.com for low prices, numerous readers have informed us that much of the Idol Lash serum sold there has been discontinued, or is close to expiration. To avoid any issues, we recommend buying the product at official site only. This will also ensure you are eligible for the 90-day money-back guarantee, which you won't get if you buy this product elsewhere. If the product is not working for you, you can call the Idol Lash customer service at (818) 303-9260 for a refund during this 90-day period. Unlike fake lashes and other lash serums on the market, Idol Lash is very easy to use. It only takes a few minutes daily to apply. Remove all your makeup with a mild cleanser. 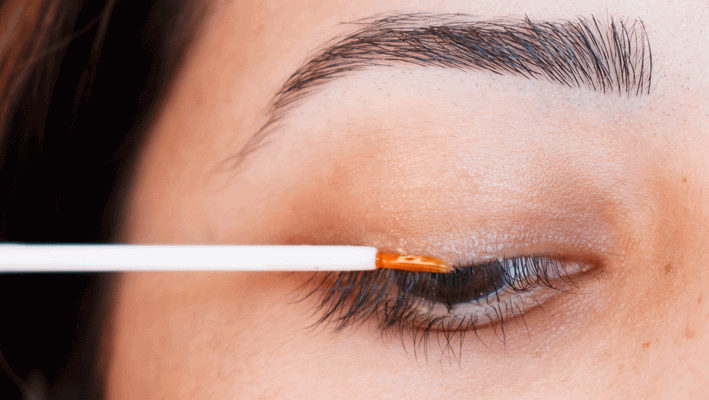 Take the applicator and carefully apply the serum at the bases of your eyelashes. Repeat the steps daily, preferably before bedtime to achieve the best results. You can see results after 2-4 weeks of regular use, but this depends on each person. Both Idol Lash and Latisse are clinical-proven eyelash serums that claim to effectively grow lashes and make them appear fuller and longer. Both have also been reviewed positively by many users, and today’s considered two of the most popular and effective products for eyelash growth. But unlike Latisse, Idol Lash doesn’t need to be prescribed by a physician, and anyone who wants to enhance their lashes can use the product. This makes it more a convenient product for keeping your lashes long and beautiful. Compared to Latisse, Idol Lash is also more affordable and safe to use as it doesn’t contain any substances that may cause adverse impacts to your skin. No side effects have also been reported so far with the use of Idol Lash, while Latisse has probable reactions, including vision problems, itchiness and redness, as well as infections. I really wanted to have long and full lashes. I tried home remedies but none worked and just irritated my eyes. I switched to eyelash conditioner as my friend recommends. She told me to try to use Idol Lash. I have been using Idol Lash for 10 weeks, now I have fuller, darker,curlier lashes without any signs of side effects!! Though it took some time, it is worth the wait!! 3 weeks is a short time, I noticed changes on my lashes on the 6th or 7th week. But no regrets!! I love the results. I’m using the product for 3 weeks and until now I am in so far so good condition, as I have noticed a little growth in my lashes. I hope the results will be improved after 4 weeks. Don’t give up Sandra. It will take 8-9 weeks to see the results. I’ve waited that long and its worth the wait and though it’s really not that long. You’ll be surprised with the results like me and other girls for sure who used idol lash. I’ve been using Idol Lash for 3 months and it is amazing!! The difference it made to my lashes and to how I look, was great!! Thanks Idol Lash. Surely idol lash worked for me. Three weeks it has been, I am using the product and the change in my lashes is significant and prominent. My lashes have grown to full length; also the gap problem between my lashes is gone because the product has also grown lashes on the places where I didn’t have the lashes before. I am totally satisfied with the product and its performance is surely more than the product’s cost. Yeah! Idol Lash is amazing. It’s been work well for me. The only reason why I am still using it until now. My lashes now is looking fuller and darker. kodus to Idol Lash. I’m loving it. My sister gave me a birthday gift and it was the Idol Lash eyelash conditioner. It was my very time to use it. I was like kinda amazed with the result. My lashes now are looking fuller and darker. Absolutely!! idollash does the job for my eyelashes. Friends and cousins noticed how my eyelashes made a difference to my face because of fuller and darker eyelashes. It’s really worth the reasonable price. I’m totally loving it. I’ve been using IdolLash for about 6 weeks and I see very little change. I bought Lilash before and it worked great, but rather pricy!I’ve read all the comments so I’ll continue to apply it and hope i get the results everyone is raving about!I’ll be back in about 4 weeks and shall see what happens! Well unfortunately the product took much longer than all of the reviewers for me, maybe because of my skin, but surely I had to be patient and I started getting results. My lashes are now much thicker and grown longer to a beautiful length but in my opinion one should try the product and remain patient. After 3 weeks of use, I have noticed that my lashes have become healthier. I don’t think so the size has also increased but overall the product is good. It is easy to use and gentle to skin. Idol lash granted me what I drooled for my lashes. Not it’s longer and fuller, making a big difference to my face. It took 6-7 weeks for me to noticed the changes. Thanks to Idol lash. Like you guys I am using lash enhancers. The product I use is Idol Lash. And I give it an A+++ on how great amazing it is!! It really works. I burned my lashes after using a high flamed cigarette lighter and started using Idol Lash, after 8 months use my lashes are even better than the burnt ones’. Thanks Idollash! I have entered into my third week of continuous usage of the product, and still I am not satisfied with the results. Maybe the length has increases a little, but also my eyelashes are very sticky in the morning when I apply mascara. Maybe I will give some more time to the product. after reading all the reviews I took the chance of buying Idol lash and used it but now I must say, the product is best in its field. As after use of just one week I noticed that my lashes have started to grow and also the places around my eyes which didn’t had lashes also were getting small hairs. Now it has been two and a half weeks and I am fully satisfied with the results. Even though I also forgot to apply the product in between days. I started to use eyelash extensions but just after few days of use I noticed that these extensions were damaging my original lashes. Then I starting using idol lash eyelash conditioner and with the use of couple of weeks I am amazed to see the changes as my lashes have now become healthier and stronger. Overall I am satisfied with the product except of the price factor. have been using idol lash treatment for some time now and still I am not satisfied with the results. The product’s performance is not worth its price. I still can’t figure out that whether this was the product my lashes wanted. But in my opinion the price of the product is not worth sing the product itself. Here is my first product review, well is it good or bad, about the product, I will simply say ‘amazing’. The progress which this product has shown just in 1 month is completely unbelievable for me. I have wasted about 200$ on buying extensions for my eyelashes but in the end I say that I wasted my money on them. The products promised that after 6 weeks of application the customer will feel the improvement, but in fact because of the fact these were so itchy and irritating that I dropped the idea just after 2 weeks. After this I also became tense because, the lashes started to fall. All of my hope was gone but then I found Idol lash, I started to apply it on my lashes and just after two weeks of application I felt the improvement and the difference and I was so happy about the product. I do not regret to buy this product as it has shown improved results. I highly recommend this to anyone who has the same problem. I wanted to try the prescription stuff, but looked expensive and I didn’t feel like going to a doctor for it. When I found IdolLash, I decided to try it, and have not regretted it since. I saw a definite increase in the length of my lashes, as well as new growth in between existing lashes, within two weeks. It just got better after four weeks. I have been using IdolLash for 10 weeks now but I’m not sure if I can see a difference. I am 54 and at my age my lashes became much shorter than when I was younger. I did not want to spend money on extentions as it lasts for such a short time and it is very expensive. I took a chance on Idol lash and I am using it for 5 weeks now. I can definately see that my lashes are longer and thats what I wanted so at this stage I am very pleased with this product because it realy works for me! I love this product because it really works! My lashes are fuller, longer & I dont see as many falling out when I remove eye make up. It did not irritate my eyes & worked more quickly than I suspected..To top it off people noticed & even asked if I was wearing fake lashes! Yippie! Its affordable as well..Try it you’ll love it! I have been using this product as per the instructions now for 6 weeks with no visible improvement in length, growth or thickness and will be returning the rest of my supply.I had amazing results with another product sold online, unfortunately i was one of the few whose skin reacted to the ingredient and my eyelids reddened. I had eyelash extensions the last few weeks of my pregnancy. I don’t know what I was thinking. I ended up pulling them out because they were to heavy and they were driving me crazy. In doing that, all of my eyelashes came out with them. I started using LiLash the last week of October. Keep in mind I had no eyelashes. By Thanksgiving I already noticed a huge difference. By January they were so long and thick that I had to start trimming them. I get asked all the time if they are fake and ladies are amazed to hear that they are real. I would recommend this product to anyone. I purchased this product a few days ago and I can already tell a difference! My lashes are touching my sunglasses now…I can only imagine what they will look like after a month of use! My upper and lower lids were red but not irritated. I read in the above post that I may be using too much – I dip it several times in the tub, so probably a good idea to use as directed – one dip it all it takes. 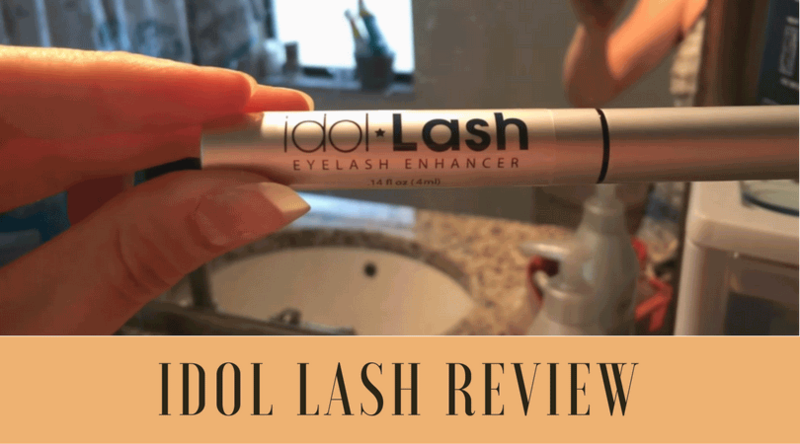 Great product so far…just curious as to what will happen to my lashes when/if I discontinue!…..
Used Idol Lash for 2.5months and nothing. I think it’s a bit of a money con! I have been using Idol Lash every night for about 3.5 weeks. I haven’t really noticed anything yet; my eyelashes are short and very light colored. My bottom lashes are almost blonde and I haven’t noticed any darkening, thickening, or lengthening of my lashes. Overall I’m disappointed because the site advertises results in 2 to 4 weeks. I guess I’ll keep up with it as the reviews are promisiting. Been using for one month. Not sure if it’s working or not. Growth is minimal if at all. It is nice to purchase something that actually works! I’ve been using idol lash for a bit over 2 months now. I have always had long eye-lashes but I wanted to have a more dramatic look. Now even my husband notice the difference! they are almost “too long”, he says. I am thrilled with the results and recommend it to everyone! Well been using this product for two months now, and not seen any difference in thickness or length. Guess I am in the 18% of peeps who it doesnt work on, daymn :/ Maybe its jus a good conditioner and will prevent my lashes from deteriorating further. All I wanted was my old lashes back and this product claimed it could do that, and more. Sorry, but it hasnt delivered for me. Surprising Idol Lash does work wonder, after a little awhile of usage I notice my lash have become fuller, longer and stronger! Its amazing that this product work, no side affect for me either and it have given me beautiful eyes along the way, now I’m not scared to look straight into people’s eyes as I know I have beautiful long fuller lash to show off. Will surly buy again if I run out, which takes a while so its worth it! But i must say idol lash is a really good product. My lashes after only a few short weeks are getting thicker- let me tell you girlfriends I noticed it! I actually feel this is a product that I would give a two thumbs up. So very sceptic I was, but have to say: Believe it or not – itÂ´s working! I posted a review for Rapidlash stating a loss of lashes/breakage after a fantastic start! I switched to Idolash but sadly no improvement. Have the hair follicles been damaged by Rapidlash? I do feel the Idolash brush is cheap and a bit scratchy, if the results were impressive I wouldn’t mind so much. I’ll persevere for longer and report again. back again…still no diff in lashes…i gave up on having lashes but i notice everyboddy seems to have nice lashed…cept me! So i have ordered some latisse…i didnt wanna go down that road with the scare stories, but wondered if i could use that, build lashes up then maybe try idolash to maintain condition? we shall see. I am glad to hear it works for others as it is much safer option. Idollash used by my cousin sister it gives amazing results. She is very much satisfied from idol lash, definitily worth to try. I am very very happy with Idol lash, my lashes are slowly but surely growing in all the places they wouldnt grow before, plus each lash is stronger, thicker, and darker…eyebrows as well. I have been reading up on all the bimatoprost products and I was close to buying and trying but after all the horror stories, Im sticking with Idol Lash. Rapid Lash made no difference, so girls In my mind Idol Lash is the safe option, and I dont think that we will go thru the stage of loseing our lashes at the end of the growth cycle like girls with the bimatoprost products. Thats just my opinion anyway..and to all you trichsters out there, if your trying to regrow, i think this is the product to use..as using something that is going to cause itchiness and aggravation to your eyes will immediately trigger the need to pull. Born with extremely thin, sparse , and short eyelashes I have tried literally everything on the market to improve my eyelash count and over all thickness including expensive treatments, fake lashes, mascaras, and curlers. However, these products created an even worse situation. After using these products, my lashes were extremely brittle, falling out at an even faster rate than before using them! Then I found Idol Lash. This product quickly reconditioned my lashes and helped them retain strength, allowing them to grow back while preventing lash fall out. Not only did it recondition and repair my lashes, it encouraged my lashes to thicken, improving the lash count and volume. I now have voluminous lashes that you see on television and magazine ads. Not to mention, the fact the product is completely natural. Having sensitive skin, I have to be very careful when applying serums and products to the skin, however, I have not experienced any negative side effects when using this product making long time use conceivable especially when price is concerned. Idol Lash is the cheapest product kind on the market being a miracle for your eyes and wallet! Honestly, I’m not rating Idol Lash because I haven’t used it yet. I’m just exploring my options and researching different products. I just wanted to see if my “review” would actually show up here if I wrote one. If it does, well that makes me much more likely to believe that all these glowing reviews are legitimate and from real people and then I will definately try Idol Lash, because you guys make it sound amazing and are getting me pretty excited to see what results I could get! Alright, time to submit this “review” and then maybe go order a couple magical tubes of pretty juice. haha I’ll come back with a real review after I’ve used it for a few months. Thanks everyone! Prior to using Idol Lash I was using LilLash to phenomenal sucess but wanted to try another product to see if it worked better. I have used Idol Lash for nearly 2 months and there has been absolutely no change to my eyelashes – in fact they have gone back to what they were like before I used LilLash!. Do not waste your money – this product does not work!. I agree with Ariel. I had tried Rapid Lash for almost 2 months and all I got was red and very itchy crusty eyes. I saw no growth at all. After reading rapid lash reviews, I do not want my lashes to fall out!!! So I threw it away. I bought it for $60 at Ulta. Wasted my money. I think I will try Idol Lash and also come back with my review. I’ve been using this since December and we’re almost in March now and.. not impressed. I have a couple of new hair on my eyebrows.. My lashes have not really changed.. I had bought 2 tubes so I’ll keep using it and hope for a change..
After reading all the reviews on this web site I purchased Idol Lash. I started using it 2 weeks ago. I’m a 50 year old with thinning eyelashes & an entire bald section of missing eyelashes that was caused by a stye I had about 20 years ago. The missing 1/4″ of eyelashes has always been VERY embarrasing. Well, after only 2 weeks, I now have lashes growing in the bald area & plenty more growing all over. I’m so happy I could cry! Going to a dermatologist to get an Rx for Latisse was just too expensive & the side effects sort of creeped me out. Having this amazing over the counter product on the market is a blessing to me. Just started using Idol Lash about 2 weeks ago but I already noticed my bottom lashes getting longer. Haven’t really noticed much on my top lashes, but I will come back to give an update. I’m very hopeful…..especially after all the bad reviews I’ve read from a different website about this product. Just stated Idol Lash a few days ago. I am missing a spot in my eyelash line right in the middle. I am hoping for growth there! That side of my lashes is definitely getting thicker. The other eye not so much but well see when a few weeks goes by. Hopefully my husband notices =). I’ll keep posted, im a sucker for buying online but also skeptical. I am 84 years old and have used Idol lash for a few month now . I don’t like Mascara and since I have used idol lash I am ecstatic my eyes look so much better my lashes are dark and long . Thank you for this wounderfull product . Really late to the game here! I thought this was a good site to leave a review, its also the site that gave me the final push to try this product. I suffer from trichotillomania geared toward pulling my eyelashes and eyebrows out. I got fed up with having bald eyes and constantly trying to hide and cover it up to just look normal. I know it will take much longer to see results for me becuase of the slow rate that eyelashes grow on top of the fact that I pull them. Honest to god this product gives me hope. Its been two weeks and i can see that certain small spots are growing back in. Its not a whole lot but only seeing one or two hairs growing makes me so incredibly happy, I seriously thought i would never have my own eyelashes again. I am beyond excited to see if the thickness and appearance is as the product claims as well but really anything is better than nothing!! (and no joke i literally have nothing lol) I look forward to seeing my results after a whole month!! I am excited to try Idol Lash. I just tried using Lash Boost from R&F and my eyes were severely irritated and it messed with my vision. I will report back when I have used it for a little while. I can’t wait to try Idol Lash. I too used R&F and had a horrible allergic reaction! Never heard anyone experienced dark line by using Idol Lash.